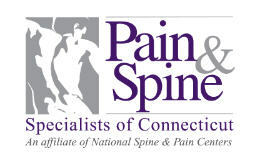 Here at Pain Relief Without Medicine, we know you often have to visit through too many uninformative sites to get to the good ones. As pain relief and health blog readers, we'd like to help you with that. Below, we've highlighted some of our favorite pain relief and health blogs that we think are worth following. This blog focuses on food that can make your health better and help relief pain. I found this site is very useful because many articles in this blog will tell you the effect of food on our health and how can it help relieve pain. Follow this blog if you want information to help you eat for your health. Everyone knows that fitness or exercise can bring the better life. But with the reason that we have no time can still be the main reason that we will ignore it. This blog will inspire you to start your exercise. After you apply, it will help pain relief many parts of your body. This blog focuses on food that can make your health better and help ease the pain. I found this site is very useful because many articles in this blog will tell you the effect of food on our health and how can it help relieve pain. This blog focuses on Yoga exercise that can contribute to reducing pain relief in many parts of the body.They contain many blogs that teaches Yoga that is one of stretching exercise. Follow this blog, and you will love. This blog has much information about running and cycling and contains many information about pain relieves from running or cycling. Follow this blog if you want to motivate yourself to exercise. This blog focuses on running given Doctor Nick. He talks about training, best shoes for running, Gear and Injuries of foot pain from running. This blog is one of the professional blogs about the mattress. Your life will spend 30% of your life on the mattress so it worth to find the best way to sleep. And you need to find Best Sleeping Mattress For Back Shoulder and Neck Pain. That's what you can find from plushbeds. His mattresses product bring good health and quality sleep. He focuses on Nontoxic Materials, great comfort, and innovation. This blog belonged to Mark Kaufman, certified athletic trainer and licensed physical therapist, founder, and president of Athletico. You can learn more in depth detail of physical therapy from this blog. This blog contains much information to help relief pain especially back pain relief that happens most. This blog focus on the good posture and they talk about how to have the right working environment. They have many ergonomic products that can help pain relief while working in the office. You can find ergonomic office chair for back and hip pain relief or Hip and Back Support for Office Chair from this site. This blog is fascinating because she talks about the relationship between mind, brain, and body. This concept tells you that you can be healthy or chronic pain relief through your mind and brain. Follow this blog if you want to learn more. This blog talks about everything during about pregnancy include before and after pregnancy. And this blog still talks about pain in pregnancy that happen to nearly all pregnancy mom. Follow this blog If you want information about the pregnancy and pregnancy pain. This blog writes cover many many things about yoga. This blog also writes yoga therapy that can help back pain. Follow this blog, and you will get many things about yoga. This blog belongs to The Chopra Center founded since 1996 by Deepak Chopra, M.D. and David Simon, M.D. 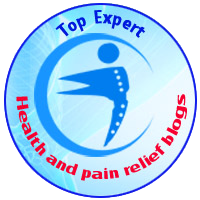 The blog provide many resources to make you healthy and pain relief. They provide information about meditation, mind-body health, nutrition and much more. Follow this blog for many information that you will get. The owner of More4kids are both parents and business owners. Her mission is to bring quality pregnancy and marketing resources. So with this site, you can find many resources about pregnancy include how to relieve back pain while pregnant, baby names and product about pregnancy from this website. Follow this blog, and you will be a good mom. This site contains many information about pain in your body include back pain, wrist pain, eye pain. Moreover, they talk about ergonomics that help pain relief while working in an office. This blog applies meditation and yoga together. This blog also tells how mediation can help pain relief too. They also provide the training course for the people who interest. 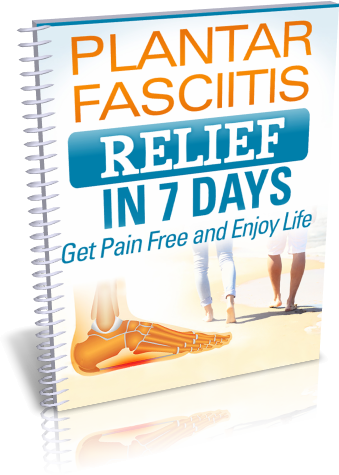 Follow this blog you will find the new idea that can help relieve pain. This blog focuses on the Mindfulness that is the core of many wisdom traditions. He tells that mindfulness that was proven that it benefit to our health, happiness, and our life. Moreover, it can help pain relief in our body and our mind. This blog provides many resources, the class that you can educate. Follow this blog to find more information about mindfulness. PatientsLikeMe is one of the blogs that has an excellent concept. This blog has many types of health experiences condition. They will share their experiences, and the reader can learn how can they deal with their health. Join this blog and you will many types of experience. This Blog Focus On Mother Life. They Focus On Many Topic Include Health, Natural Home, Remedies, Beauty, Recipes, Motherhood. But the most part I love is about remedies because it can help pain relief. If you are Mom (or will be) you can follow this blog to find more information. Angela Liddon is the owner of this blog that is one of the recipe blogs. Most of her recipes are free of gluten, soy, and processed foods. She is the owner of " The Oh She Glows Cookbook" that is a New York Times Bestseller. Follow her blog for many healthy recipes, and you will know that can help relieve pain. This blog contains useful resources for pain relief. They include patient stories that you can learn. You can also find the doctor from this blog too. This blog is one of an expert in acupuncture. He also provides service about acupuncture, therapy and skin care. He contains much information about the way to treat many pain relief symptoms. The symptoms include allergies, anxiety and depression, back pain and many other symptoms. You can learn a lot about acupuncture here. This blog contains much useful information about acupuncture and includes many blogs that talk how acupuncture can help relieve pain. Follow this blog if you want to learn more about acupuncture. livingthenourishedlife.com tell you how to eat well for healthy life. You can live with more balance in life, and less stress that can help pain relief in both mind and physical. Follow this blog for more balance life. Chronicmom owner is Shelley, a woman that live with chronic illness. Her chronic diseases are fibromyalgia and Lyme disease. This blog is not the source of technical information you will learn. But this blog is a source of life motivation that you can learn. She will tell you how can she live with her illnesses.